Mike Anderson Chevrolet of Merrillville, In. 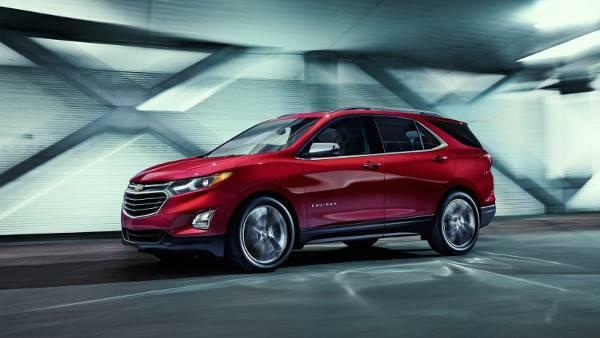 is known as “The Chevy Giant” because you won’t find another dealership anywhere around with this kind of elaborate inventory of both new & used vehicles. We pride ourselves on being able to offer many choices to our customers so that every customer can find a vehicle that will match their budget. If a customer has their heart set on a particular make and model, Mike Anderson wants to have several to choose from, so that one of them might fit that customers monetary capabilities. Additionally, you will find a friendly, experienced and devoted staff that’s dedicated to giving drivers of North West, Indiana the best new & used dealership experience they have ever had, and to make those drivers one of the Mike Anderson family. One of the many ways we do that is by offering a plethora of amazing specials that are available to view online and others are available in the dealership. Come and have a look at our amazing inventory and see how we are serving the automobile enthusiasts of North West, Indiana. We offer unbelievable specials to get you into car, truck, SUV or van of your dreams. At any given time, Mike Anderson Chevrolet is offering incredible money-saving specials. If you check our website, you will always find some there, and when you make it onto our incredible and expansive lot, you will find more. When you bring your car to Mike Anderson’s Service Center you can expect the best award-winning service available. From the minute you drop your vehicle off, we will offer state-of-the-art diagnostics to analyze the needs of your car then have genuine OEM parts shipped directly to us from the manufacturer ready to use to repair anything necessary. Not to mention, your car will be handled with the highest realm of care by factory trained and certified experts who recognize the value of your car to you. When it comes to excellence in service, our finance team is the best in the business. Our number one goal is to make sure that you can avail an auto financing plan that works with your financial plan. And certainly, we will make it happen. Using our finance calculator, we can quickly and efficiently find a payment option that your budget can handle and that will make you happy. Our main purpose in this part of the process is to see you walk out with a new vehicle stress-free and with a smile. Mike Anderson Chevrolet is the dealership all other dealerships should set their standards to be. We serve such a wide territory in Munster, IN and we take pride in serving the people of our community. We keep the most excellent inventory; maintain the most effective customer service and the best financing department for a reason.